It is a beautiful day in New Hampshire. 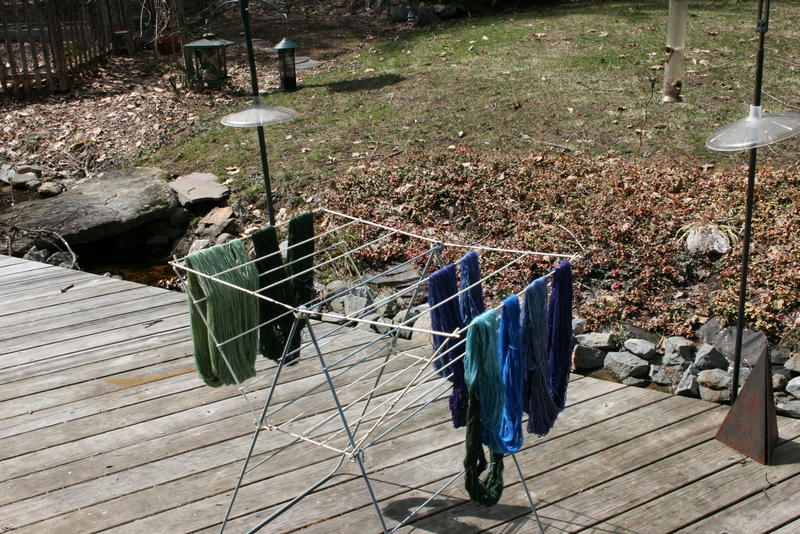 The sun is shinning, it is warm and at long last I can put yarn out on the deck to dry. Don’t look at the yard! Spring means rebirth but it also means clean up and reevaluation of the gardens to set goals for the season. We had a big tree come down on one of the decks during one of the storms in February so we have repair work to be done also. At least it did not hit any structures like the house, gazebo or garage. 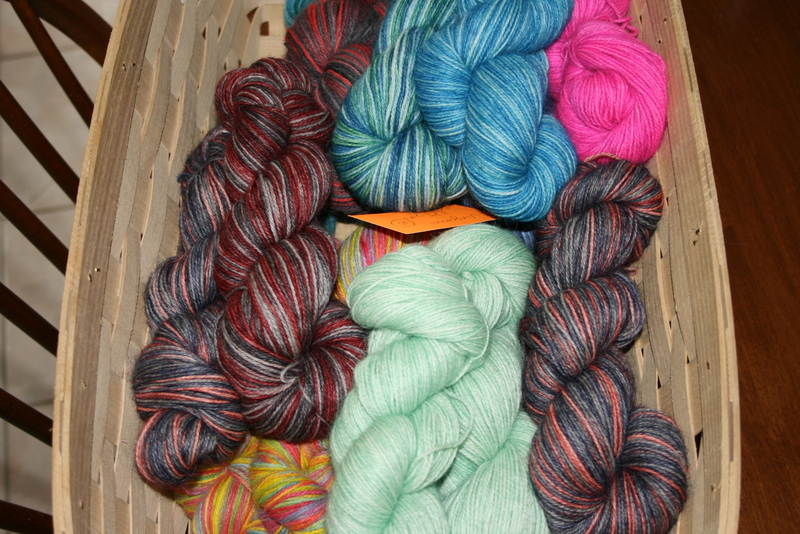 The yarn in the above picture is a new yarn that will be introduced in the next couple of weeks. Lillian, a lace yarn that is 80% Baby Alpaca and 20% Silk, was one of my best sellers last year. I am skeining some up and will be restocking the store in the next couple of weeks. It comes in two size skeins – 1000 yards and 500 yards.